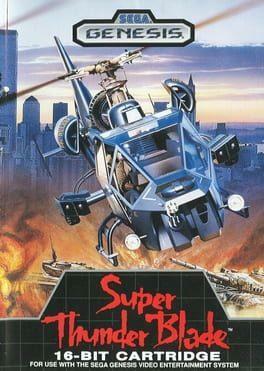 Super Thunder Blade is a shooter for the Sega Mega Drive/Genesis console, published by Sega. It was one of three launch titles for the console in Japan (the others being Space Harrier II and Altered Beast), as well as being one of the six launch titles for the console for its U.S. launch. It is a follow-up to the 1987 arcade game Thunder Blade. It was released for the Virtual Console on September 17, 2007. It was also included in the Sega Genesis Collection for PlayStation 2 and PlayStation Portable in 2007 and in Sonic's Ultimate Genesis Collection for Xbox 360 and PlayStation 3. Super Thunder Blade is available from 2.49 to 2.49 from 1 shops.